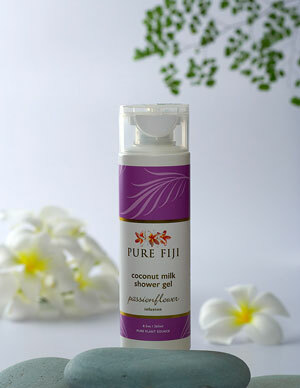 Pure Fiji Coconut Milk Shower Gels. This nourishing shower gel has natural cleansers. Available in a variety of fragrances. This nourishing shower gel has natural cleansers derived from coconut and sugar cane while the coconut extracts impurities leaving skin rejuvenated. Various fragrances available: Coconut, Starfruit, Mango, White GingerLily.